DEERFIELD, IL - Fortune Brands Home & Security, Inc. (NYSE: FBHS), an industry-leading home and security products company, today announced second quarter 2014 results and updated its 2014 annual outlook for sales and earnings per share. The Company also announced value-enhancing activities that include an acquisition and year-to-date share repurchases. For the second quarter of 2014, sales were $1.14 billion, an increase of 10 percent over the second quarter of 2013. Earnings per share were $0.55, compared to $0.37 in the prior-year quarter. EPS before charges/gains were $0.55, compared to $0.41 the same quarter last year. Operating income was $136.6 million, compared to $106.5 million in the prior-year quarter. Operating income before charges/gains was $136.8 million, compared to $107.2 million the same quarter last year. “Sales increased 10 percent for the total company and 12 percent for our combined home segments in the second quarter. Importantly, total company operating income before charges/gains increased 28 percent,” Klein said. 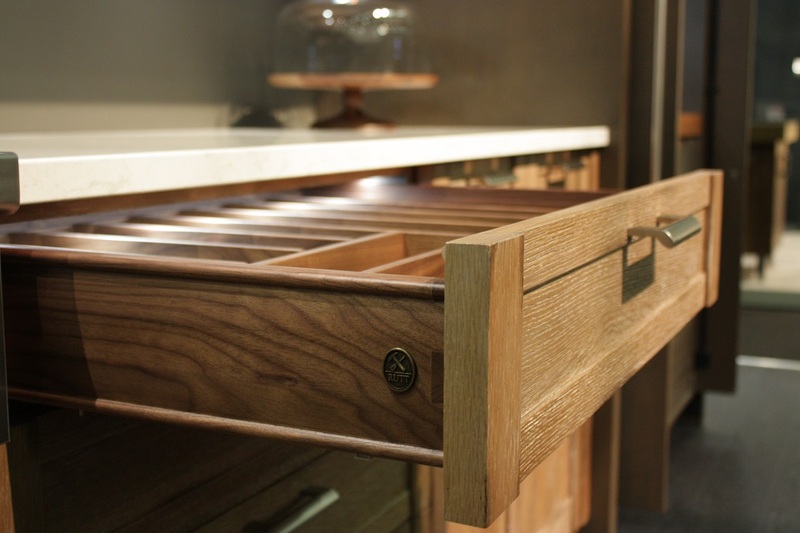 Kitchen & Bath Cabinetry sales were up 19 percent. Sales included strong increases in the dealer channel from continued share gains and strength in repair and remodel volume and mix. Operating income before charges/gains increased 31 percent to $46 million. Plumbing & Accessories sales increased 5 percent, led by growth in the U.S. wholesale channel and international. Operating income before charges/gains increased 26 percent. Advanced Material Windows & Door Systems sales were up 9 percent. Entry doors sales were up 11 percent and windows sales were up 7 percent to the prior year. Operating income before charges/gains for the segment increased 53 percent. Security & Storage sales decreased 5 percent. 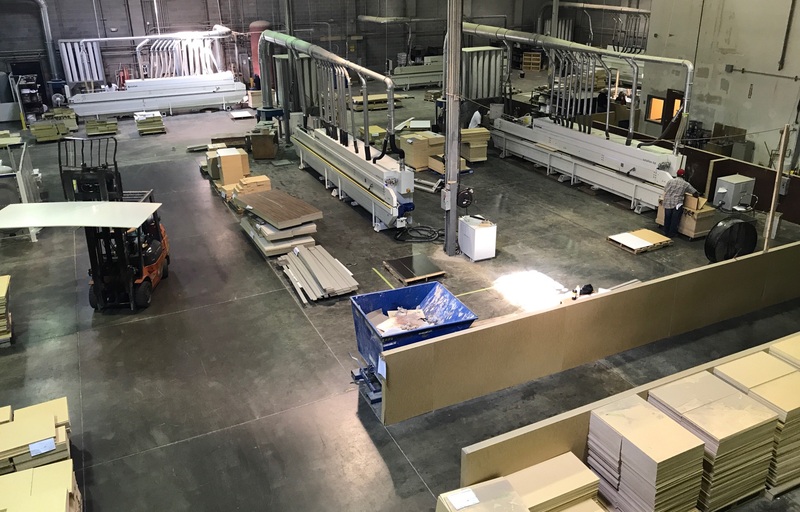 Within the segment, security sales increased 1 percent and tool storage sales decreased 21 percent, which resulted in lower operating income before charges/gains. The Company reinforced its commitment to maximize shareholder value by deploying free cash flow and adding debt leverage to drive incremental growth. The Company announced today that it has acquired Sentry Safe, the leading manufacturer of personal safes with estimated annual sales of $150 million. The transaction closed on July 29, 2014 for $117.5 million and was funded from the Company's existing credit facilities. Sentry Safe will become part of Master Lock. Master Lock and Sentry Safe have leading market positions and strong consumer brands. Master Lock is the number one padlock brand in North America. Sentry Safe is the leading North American brand of security safes and other protective containers for residential and light commercial markets. Sentry Safe is headquartered in Rochester, New York and has approximately 500 associates, with manufacturing facilities in Rochester, New York and Cannelton, Indiana. Additionally, the Company also disclosed that share repurchases in 2014 now total approximately $375 million, leaving approximately $112 million remaining under its share repurchase authorization. The Company’s 2014 annual outlook is based on a U.S. home products market growth assumption of 6 to 8 percent. Based on the Company’s expectation to continue outperforming the market and the benefit from the Sentry Safe acquisition, the Company expects full-year 2014 net sales to increase 9 to 11 percent. The Company expects diluted EPS before charges/gains to be in the range of $1.88 to $1.96. This targeted range compares to 2013 diluted EPS before charges/gains of $1.50. The Company’s annual outlook includes both the impact of its recent acquisition of Sentry Safe and the impact of share repurchases. The Company continues to expect to generate $225 million to $250 million in free cash flow in 2014. The expected free cash flow is net of anticipated capital expenditures of $130 million to $140 million, as the Company invests in incremental capacity and infrastructure to support multi-year growth. Fortune Brands Home & Security, Inc. (NYSE: FBHS), headquartered in Deerfield, Ill., creates products and services that help fulfill the dreams of homeowners and help people feel more secure. The Company’s trusted brands include Master Lock and Sentry Safe security products, MasterBrand cabinets, Moen faucets, Simonton windows and Therma-Tru entry door systems. Fortune Brands holds market leadership positions in all of its segments. Fortune Brands is part of the S&P MidCap 400 Index. For more information, please visit www.FBHS.com. This press release contains certain “forward-looking statements” regarding business strategies, market potential, future financial performance, the potential of our categories and brands, the effects of the Sentry Safe acquisition and other matters. Statements preceded by, followed by or that otherwise include the words “believes,” “expects,” “anticipates,” “intends,” “projects,” “estimates,” “plans,” “outlook,” and similar expressions or future or conditional verbs such as “will,” “should,” “would,” “may” and “could” are generally forward-looking in nature and not historical facts. Where, in any forward-looking statement, we express an expectation or belief as to future results or events, such expectation or belief is based on the current plans and expectations of our management. Although we believe that these statements are based on reasonable assumptions, they are subject to numerous factors, risks and uncertainties that could cause actual outcomes and results to be materially different from those indicated in such statements. Our actual results could differ materially from the results contemplated by these forward-looking statements due to a number of factors, including but not limited to: (i) our reliance on the North American home improvement, repair and new home construction activity levels, (ii) the North American and global economies, (iii) risk associated with entering into potential strategic acquisitions and integrating acquired companies, (iv) our ability to remain competitive, innovative and protect our intellectual property, (v) our reliance on key customers and suppliers, (vi) the cost and availability associated with our supply chains and the availability of raw materials, (vii) risk of increases in our postretirement benefit-related costs and funding requirements, (viii) compliance with tax, environmental and federal, state, and international laws and industry regulatory standards, and (ix) the risk of doing business internationally. These and other factors are discussed in Item 1A of our Annual Report on Form 10-K for the year ended December 31, 2013, filed with the Securities and Exchange Commission. In addition, this press release contains forward-looking statements that involve risk and uncertainties associated with the transaction to acquire Sentry Safe, including the effects of the announcement of the transaction on Sentry Safe and the Company’s other businesses, the risk that the Company will not realize the anticipated benefits of the transaction, and other factors beyond the Company’s control. The forward-looking statements included in this release are made as of the date hereof, and except as required by law, we undertake no obligation to update, amend or clarify any forward-looking statements to reflect events, new information or circumstances occurring after the date hereof. This press release includes measures not derived in accordance with generally accepted accounting principles (“GAAP”), such as diluted earnings per share before charges/gains, operating income before charges/gains and free cash flow. These measures should not be considered in isolation or as a substitute for any measure derived in accordance with GAAP and may also be inconsistent with similar measures presented by other companies. Reconciliations of these measures to the most closely comparable GAAP measures, and reasons for the Company’s use of these measures, are presented in the attached pages. * Free cash flow is cash flow from operations calculated in accordance with GAAP less net capital expenditures (capital expenditures less proceeds from the sale of assets including property, plant and equipment) plus proceeds from the exercise of stock options. Free cash flow does not include adjustments for certain non-discretionary cash flows such as mandatory debt repayments. Free cash flow is a measure not derived in accordance with GAAP. Management believes that free cash flow provides investors with helpful supplemental information about the Company's ability to fund internal growth, make acquisitions, repay debt and related interest, pay dividends and repurchase common stock. This measure may be inconsistent with similar measures presented by other companies. For the second quarter of 2014, diluted EPS before charges/gains is net income calculated on a diluted per-share basis excluding $0.2 million of net restructuring and other charges ($0.4 million after tax benefit). For six months ended June 30, 2014, diluted EPS before charges/gains is net income calculated on a diluted per-share basis excluding $2.6 million ($1.1 million after tax or $0.01 per diluted share) of restructuring and other charges and the impact of expense from actuarial losses associated with our defined benefit plan of $0.6 million ($0.4 million after tax). For the second quarter of 2013, diluted EPS before charges/gains is net income calculated on a diluted per-share basis excluding the impact of expense from actuarial losses associated with our defined benefit plans of $0.7 million ($0.4 million after tax) and an asset impairment charge of $6.2 million ($0.04 per diluted share) pertaining to a cost method investment. For six months ended June 30, 2013, diluted EPS before charges/gains is net income calculated on a diluted per-share basis excluding $1.2 million ($0.8 million after tax) of restructuring and other charges, an asset impairment charge of $6.2 million ($0.04 per diluted share) pertaining to a cost method investment and the impact of expense from actuarial losses associated with our defined benefit plan of $5.3 million ($3.5 million after tax or $0.02 per diluted share). For the full year, the Company is targeting diluted EPS before charges/gains to be in the range of $1.88 to $1.96 per share. On a GAAP basis, the Company is targeting diluted EPS to be in the range of $1.85 to $1.93 per share. The Company's GAAP basis EPS range assumes the Company incurs no additional actuarial gains or losses associated with its defined benefit plans. * For the year ended December 31, 2013, diluted EPS before charges/gains is net income calculated on a diluted per-share basis excluding $5.1 million ($3.6 million after tax or $0.02 per diluted share) of restructuring and other charges, asset impairment charges of $27.4 million ($20.0 million after tax or $0.12 per diluted share) and the impact of expense from actuarial losses associated with our defined benefit plans of $5.1 million ($3.3 million after tax or $0.02 per diluted share). Diluted EPS before charges/gains is a measure not derived in accordance with GAAP. Management uses this measure to evaluate the overall performance of the Company and believes this measure provides investors with helpful supplemental information regarding the underlying performance of the Company from period to period. This measure may be inconsistent with similar measures presented by other companies. *Depreciation excludes accelerated depreciation of ($0.2) million for the three and six months ended June 30, 2013. Accelerated depreciation is included in restructuring and other charges. (1) Corporate expenses include the components of defined benefit plan expense other than service cost including actuarial gains and losses. (2) Restructuring charges are costs incurred to implement significant cost reduction initiatives and include workforce reduction costs. (4) Other charges which were recorded in cost of products sold represent charges or gains directly related to restructuring initiatives that cannot be reported as restructuring under GAAP. Such charges or gains may include losses on disposal of inventories, trade receivables allowances from exiting product lines, accelerated depreciation resulting from the closure of facilities and gains or losses associated with the sale of closed facilities. (2) Other charges which were recorded in cost of products sold represent charges or gains directly related to restructuring initiatives that cannot be reported as restructuring under GAAP. Such charges or gains may include losses on disposal of inventories, trade receivables allowances from exiting product lines, accelerated depreciation resulting from the closure of facilities and gains or losses associated with the sale of closed facilities. (a) Operating income before charges/gains is operating income derived in accordance with U.S. generally accepted accounting principles ("GAAP") excluding restructuring and other charges and the impact of income and expense from actuarial gains or losses associated with our defined benefit plans. Operating income before charges/gains is a measure not derived in accordance with GAAP. Management uses this measure to evaluate the returns generated by FBHS and its business segments. Management believes this measure provides investors with helpful supplemental information regarding the underlying performance of the Company from period to period. This measure may be inconsistent with similar measures presented by other companies. (b) Diluted EPS before charges/gains is net income calculated on a diluted per-share basis excluding restructuring and other charges, an asset impairment charge pertaining to a cost method investment and the impact of income and expense from actuarial gains or losses associated with our defined benefit plans. Diluted EPS before charges/gains is a measure not derived in accordance with GAAP. Management uses this measure to evaluate the overall performance of the Company and believes this measure provides investors with helpful supplemental information regarding the underlying performance of the Company from period to period. This measure may be inconsistent with similar measures presented by other companies. (c) EBITDA before charges/gains is net income derived in accordance with GAAP excluding restructuring and other charges, an asset impairment charge pertaining to a cost method investment, the impact of income and expense from actuarial gains or losses associated with our defined benefit plans, depreciation, amortization of intangible assets, interest expense, and income taxes. EBITDA before charges/gains is a measure not derived in accordance with GAAP. Management uses this measure to assess returns generated by FBHS. Management believes this measure provides investors with helpful supplemental information about the Company's ability to fund internal growth, make acquisitions and repay debt and related interest. This measure may be inconsistent with similar measures presented by other companies.